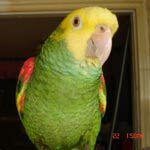 Parrot Forum • View topic - Is this normal? She is still plucking. Tried every possible option. I cannot put her cage in the living room due to toxic fumes. She is on a solar schedule atm. She is still flying, talking etc. Sometimes she plucks while preening, could it be fleas or whatever from when she was outside? No, it's not fleas or mites or anything but stress and/or anxiety. Grays are very difficult birds to keep happy, they need a very quiet household, no changes whatsoever in their daily routine or 'territory', lots of hours with their chosen human, the right diet [and this is not pellets] and a super strict solar schedule - and I know you say you are doing it but, although I am not doubting your word, I have found that most people with a normal lifestyle can't really do it the right way but, even if you are, if she had been kept at a human schedule before, it will take a few seasons for her endocrine system to go back on track. You also need to take into consideration that birds that are stressed out [and this goes back to their being bred in captivity and, basically, how knowledgeable and caring the breeder is] when they are babies remain high strung their entire lives so, sometimes, even when you do everything right, it still doesn't work. AND, let's not forget her age! She is at an age when she would be looking for a mate so if she doesn't have a very deep bond with a human who is there for her all the time, she would be stressed out and anxious. Personally and although I don't like to see my birds plucked [I have three that do it and a fourth that is plucked by one of the pluckers], I ignore the whole thing and hardly even notice any longer. It's one of those things that are undesirable but essentially harmless if it doesn't become self-mutilation. The reason I put her in another room was that it would help her more with her solar schedule. Cause the living room is not working for her schedule. I am taking her to the vet tomorrow, she is starting to pluck blood feathers, dropping blood by this. Is this extreme? She was on my shoulder when doing this, I have no clue why. Probably because it was irritating her. Oh, SHOOT! That's not good... not good at all! It's the beginning of self-mutilation so, please, make sure that EVERTYHING is as it should be: strict solar schedule with, at least, two hours of dawn and dusk without any artificial light whatsoever, exact daily routines, fresh food [meaning WET] diet, peace and quiet [no TV, no music, no loud talk, no children running around, etc] and her chosen human company all day long. You need to stop this before it gets real bad. But, please, before you agree to give her anti-anxiety medication [which is, pretty much, the only thing avian vets do in cases like this], do research because, as far as I can tell, they don't work with parrots -at least, the parrots I know which have gotten it did not get better on it. Sorry for the late response. Everything turned out OK at the vet. We have since then moved her cage back to the original spot. Changed her diet, trying to give her some sunlight and gets at least 8 hours daily interaction. She is not plucking as far as I can see, but still sometimes nips out a bloodfeather. Happens about once a week. I think it's irritating her? Her feathers are in very poor condition atm, I am bathing her regularly. Any more things I can do for her? Also, if she doesn't like to bathe [never had a gray that did and I had six], don't force it on her because the most important thing you can do for plucking is reduce stress as much as possible. Back after a time now. She was plucking very badly. In the Netherlands there is barely sunlight, I have an avian lightning for parrot for the uva/b rays. Her diet has changed, ze is still active as usual. But her feather condition is not increasing, it is actually decreasing. She plucks mostly when we are asleep. She has a schedule that we have been using for months now. I notice that she is shivering, is this normal? Oh, geez! I don't mean to make you feel bad but she does not look good and not only because of the extreme plucking. I mean, compared to the first picture of her you posted, she looks VERY deteriorated - her keel bone is protruding and she looks terribly scared or traumatized or anxious or something... Grays are not very active birds but they don't stand there frozen 'on alert' when they feel comfortable. It could have been her reaction to the camera but added to her plucking and what appears to be not enough muscle tone or fat... I don't like it. I did not see shivering though but, if it happens, it could be either that she is cold or that she is chronically stressed out -which sounds like a very likely possibility seeing her plucking. The light you have is no good. There are no real avian lights, they are all a gimmick, and one should never use an UV light for them because it hurts their eyes. What you need is a good quality [CRI 93+, Ktemp 4500 - 5000] full spectrum light that has a low UVa output - UVb is useless for vit D3 production unless you place the bulb so close to the bird to make it very dangerous [I know of two birds that went blind because of exposure to UV light]. She is bonded with my mom. She used to be in the living room, she went in my room due to painting the house, she is back to the living room now. The light is CR93 5k, 3% UVA 5% UVB. I agree with you, she is very anxious. She is really afraid. My mom (the one she has bonded to) says it is due to flying away. She was outside 3 days, when birds were nesting. She probably got bullied by the others or chasen away. She was 3 days without food and water, and she is afraid at night because of this incident. (< According to my mom). I kinda agree though, when we had her back she was not her usual self, she was more aware and very cautious of everything. I hate to see his feather condition go back and back more and more, almost daily. She is actually on a solar schedule at the moment. She spends about 8 hours a day with my caretaker outside of the cage. She plucks when playing with her caretaker, she flies when she plucks a feather out, probably due to the pain. I am getting clueless...I do think her skin is very dry. She eats a large amount of fresh food daily. Trying the foraging options, but she is very scared of new things. So it takes a month or so till she gets used to a new toy. I usually lay it down for a couple of weeks outside of the cage so she can observe it. Some toys she never gets used to. Bought some more foraging toys that's arriving tomorrow, hope she will like one of them. Her day goes like this: Wake up 8:00, eats breakfast and drinks. When she does the 'big' poop she goes out of the cage, staying with my mom till 15:00. After 15:00 she is alone, depending on the person who is in the house. Usually my dad is home 16:00 then she is out of her cage again, spending time with him. They go pretty well along. My mom is back 19:30, she then goes upstairs with him and cuddle/play there till about 20:30. 21:00 she is inside ready for bed. This is how it usually goes. Sometimes she refuses to go back, then my mom might extend playtime till 2200. That's usually her daily routine. PS: Her feathers look awful in the video. That is due to showering. It looks better when dry. Temperature in house is about 24/25 degrees, warm enough. The lamp has 50cm in between them. I found that my Amazons eat more at one sitting of healthy veg and carbs when I set a place at the table for them. They will eat for the same length of time that I do. My life is my birds so the house is for the birds. Setting a place at the table would be strange for some but I am sure that parronts understand. The trick is to take it from your plate to his before you add salt and butter to your food. He can see it came from your plate so it must be good.